To many, college is nothing other than a four-year experience. However, my experience at St. Joe’s has exposed me to far more. St. Joe’s has given me an opportunity to grow and develop my own values, make lifelong friends, and build valuable skills. Shortly after my birth in 1997, my Dad received a letter from David A. Dorsey (SJU ’54), the then-Director of Alumni Relations, congratulating him on my birth and expressing a hope to see me wearing crimson and gray in the future. This simple but memorable act is just one of many ways that St. Joe’s strong connection to their students, alumni, and their families is evident. Mr. Dorsey’s letter was given to me by my parents along with the iconic red envelope on Christmas of 2015. 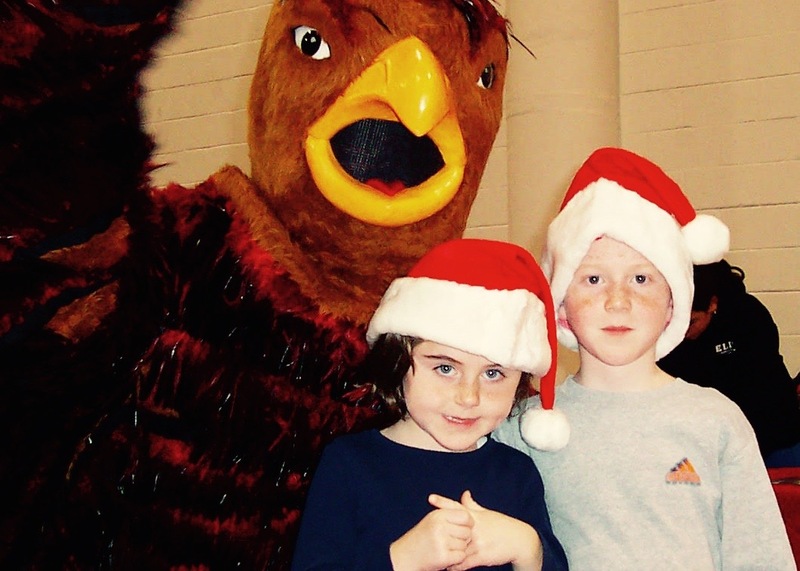 While my parents encouraged me to look around at a variety of schools before making a final decision on where to attend, I always knew that I wanted to go to St. Joe’s. To me, St. Joe’s was already like a second home. My Dad graduated from St. Joe’s in 1984, and over the years, our family returned to campus on many occasions to attend basketball games and other events. It seemed like every return visit included a walking tour, memories of friendships forged over time, and a visit to Larry’s Steaks, Home of the Belly Filler. My sister and I even had the opportunity to act as the ball boy and ball girl at both the Palestra and Alumni Memorial Field house (now Michael J. Hagan Arena). The final experience before my arrival on campus that reaffirmed my decision was when the iconic Hawk himself made a surprise appearance at my high school graduation party. I think the most important and evident impact that St. Joe’s has had on my family is the creation of lifelong friendships. Over the years, I’ve realized that many of our family’s friends are the same friends that my Dad met during his time at St. Joe’s. Through some of the activities that I’m involved with on campus, I can already confidently say that I too have made great lifelong friends. Prior to the beginning of freshman year, I participated in the Philadelphia Service Immersion Program (PSIP). PSIP is a four-day experience of community service, intellectual discovery, and urban exploration. I enjoyed the experience so much that I’ve returned the past two years as a team leader. Similarly, I participated in the Appalachian Experience (APEX) as a freshman and sophomore and will be serving as a leader this year. APEX is a spring break immersion program that is committed to serving with and for others while learning about the culture and concerns of the people of the Appalachian region. The people I’ve met through these programs and the time we’ve spent together has turned out to be the experience that I had always been hoping for even though I may not have been able to fully anticipate the impact that they’d have on my life. I can’t forget though that the main reason for attending college is to prepare for a successful career. I’m a Food Marketing major and I decided early on joining the co-op program. By the time I graduate, I will have completed three six-month co-ops for different employers. I’ve already spent a semester working for Snyder’s-Lance in the eCommerce division, working daily with major retailers including Amazon and Walmart. I’m hoping to have the opportunity to travel abroad for one of my next two co-ops. When I was younger, I wanted to go to St. Joe’s because of its familiarity and the good stories that I heard. Now, after having three years under my belt, I’ve created my own stories and my own successes through service, friendship, academics, and work experience. My love and appreciation of St. Joe’s are no longer just stories, they already play out today in my everyday life, and I can see that they’ll be an important part of my future.